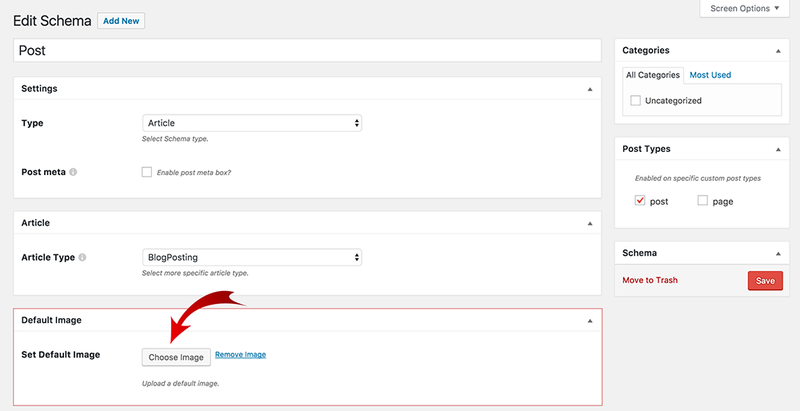 The Schema Default Image extension gives you the ability to set a default image for your content, this to avoid Google Structured Data Testing Tool validation errors. But, still uploading a unique Featured image for each article or blog post is the ideal and right thing to do. If you set a default image, this default image will be used across the whole post type. If the Schema plugin can’t find a Featured image attached to the post, it will use the default.